The Very Reverend Dean John Downey has been Dean of the Cathedral of Saint Paul since April, 4, 1987 and is the Canon Theologian of the Diocese of Northwestern Pennsylvania. He is a native of Corry, PA and graduated from Grove City College and Seabury-Western Theological Seminary. 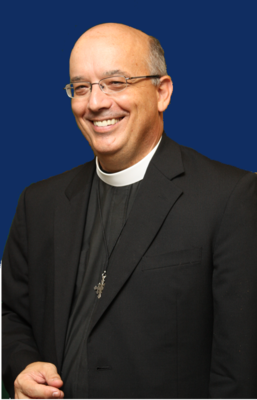 He has had extensive diocesan, national, and community experience and is currently, with his wife, Sharon, co-chair of the North American Cathedral Deans Conference.